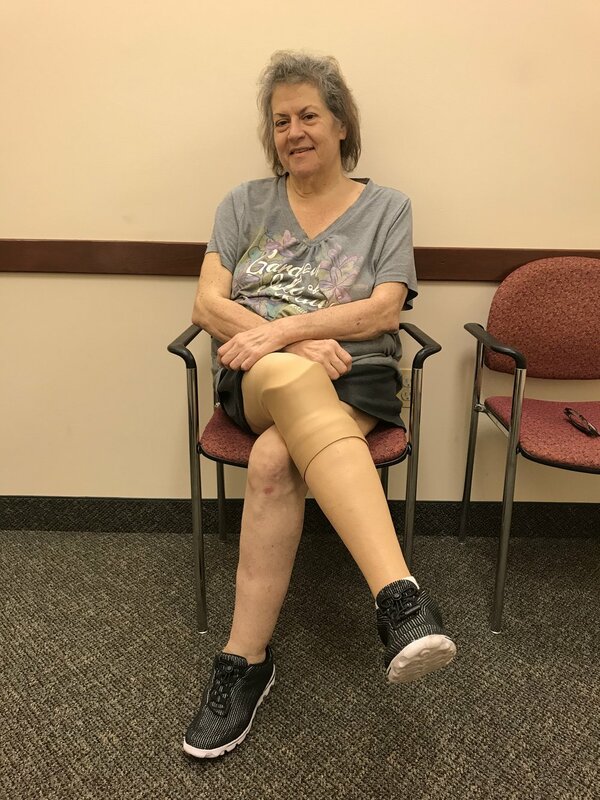 Patient Stories: Joanne Hutchinson — Dankmeyer, Inc.
Mrs. Joanne Hutchinson had her right leg amputated below the knee in May of 2017. She wore an offloading orthosis for a year and a half before her amputation in an effort to save her foot. She received her first prosthesis in August 2017 and hasn't looked back since! She is happy to have gotten back to walking independently, shopping, and returning to "life as usual". In particular, she is so happy she can wear a regular shoe again! Before her first prosthesis in 2017, the last time she wore a shoe on her right side was the summer of 2015. She says, "To anyone out there that is going through an experience with their foot or part of their body, know that there is light at the end of the tunnel for you."